Clubbers, party goers, dance enthusiasts, and urban nightlife junkies, brace yourself! Kicking off festivities for the End of the Year, Indonesia's metropolitan capital city of Jakarta will again be stormed with spectacular lights, sounds and sensational vibes of urban music fiesta as the Djakarta Warehouse Project (DWP) 2017 is here again to blast its music on the huge stage of the Jakarta International Exhibition Center, at Kemayoran on 15th to 16th December 2017. Returning for its 9th edition this year with even bigger, stronger and louder sounds for its fans, DWP 2017 promises to give festival-goers an experience that will certainly kick off this New Year's Eve celebrations. As always, the festival will feature some most prominent names in International and Indonesia's own electronic and club music scene. Completed with dramatic settings and decorations, this upbeat music fiesta will indulge the audience with a wide range of genres in dance music, from electronic, house, progressive, techno, trance, drum and bass, to dubstep, and a whole lot more. Among the world's renowned names in electronic music that decorate the lineup at the Jakarta International Exhibition Center are: the Canadian electronic duo DVBBS; Grammy award-winning Australian act FLUME; the enigmatic duo GALANTIS; world's most mysterious DJ MARSHMELLO; the one and only R3HAB; trance duo NWYR who will be having their only 2017 Asia show at DWP17; all-time electronic music legend TIESTO; two of techno's most undisputed legends, Loco Dice and Richie Hawtin; Canadian bass music aficionados Zeds Dead; American DJ and producer Flosstradamus; the man behind the hit song 'Sugar' Robin Schulz; contemporary house DJOokay; progressive DJs Ilan Bluestone and Zatox, and making his epic DWP return,Steve Aoki. Making their Asia debut, world's craziest party crew, Elrow, is also heading to Jakarta from Spain to host a special stage at DWP this year. 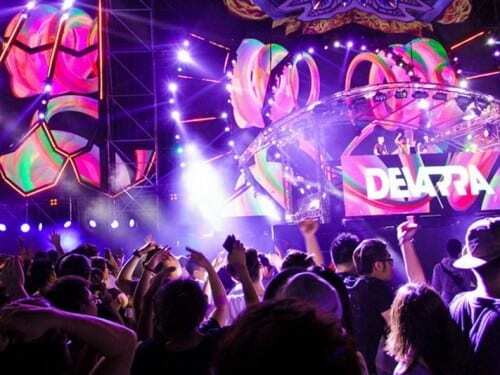 Having started with performances in a warehouse, the Djakarta Warehouse Project today has marked its foot in cement as Indonesia's biggest annual dance music festival, that has expanded across the region. 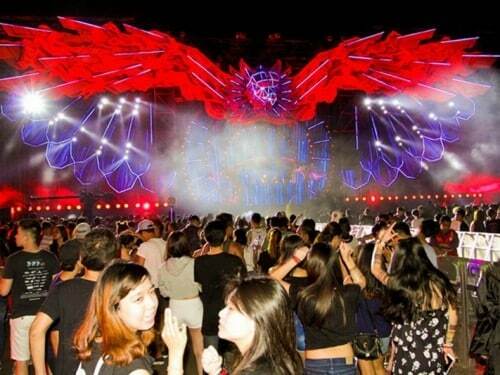 This year, the Djakarta Warehouse Project will continue the use of the latest digital technology to enhance the cool modern ambience and give party-goers an out-of-this-world party experience. The use of captivating visuals, sounds, and other exciting features will surely give the audience a one of a kind, always to be remembered experience. Known the world over for their extravagant over-the-top productions helmed by some of the biggest names in house and techno, this 'festival within a festival' is definitely not one to be missed!